A loan officer is a person who acts as the middle man between money lending institutions (such as banks) and borrowers. If you want to get a loan to purchase a home, then a loan officer, such as a mortgage loan officer or mortgage loan originator will assist you in the loan application. They act as a guide for people who are borrowing money from the bank for the first time. Loan officers will help applicants determine the right amount of money that they need to loan by taking a look at their income, job-to-income ratio, job stability, and liquid assets. Plus, they will also provide you with the knowledge of various conditions and requirements necessary for loan applications. Loan officers specialize in mortgage, consumer, and commercial loans. To become a loan officer you need to have a high school diploma, possibly a little on-the-job training or experience, and it always helps to have a Bachelor’s degree in economics, finance, business administration, or any other business-related field although it isn’t a necessity. In order to become a loan officer you need to obtain a license. According to the regulations of most states, anyone who wishes to be a mortgage loan originator must complete twenty hours of education whether online or from an institute. For your pre-licensing education, you need to make sure the course providers follow the standards set by the National Mortgage Licensing System (NMLS). NMLS is a licensing system which assigns every loan officer a unique identifier number, which the officers keep throughout their career. Hence, you need to make sure that the organization you are choosing are recognized and approved by NMLS. Otherwise, you will end up wasting your money and time. Yes, a virtual study is comfortable and convenient, but in-person training might help you grasp the knowledge more easily. Some people learn better on their own at their own pace while others work better in classrooms settings with instructors deciding the pace. Make sure you weight the pros and cons to alternatives before you make your choice on what learning environment works best for you. If you are planning to register for online classes, you should do necessary research about the courses beforehand. Make sure that you are aware of all the details of the course and teaching arrangements. When possible select courses that provide guarantees. When courses provide guarantees it shows they are willing to put their name or money behind you because they believe in the courses they teach. Also many of the courses with guarantees have performed large amounts of research and development so they can provide the best possible courses and be the leaders in their industry. Internet reviews are the modern and upgraded version of word-of-mouth. 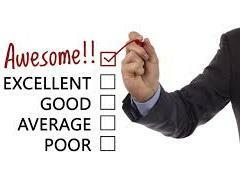 Reviews are a great tool to find about the performance level of anything. Rather than inquiring about the course or organization you can just read the reviews provided on their site by previous and current students who are taking the same course. It is an excellent way of getting an insight regarding the course structure and instructors. If you have a confusion regarding which loan officer school to pick, reading the reviews will assist you in evaluating and comparing the same course offered by two or more different institutions. Just because online classes do not involve a physical classroom, it does not make them any less of a class. Make sure that you have all the necessary items of learning. In addition to that, don’t throw away your business related books from college because there might be a time when you need to consult previous learning material during your loan officer education. Like in-person classes online classes have a pre-planned course outline, make sure that you have it before the classes commence. With the rules and regulations involved in Loan officer training, you need to have relevant content with you. You must have essential details about the material you are going to be studying since you cannot just wing anything at the higher level of education. Course providers usually enable students with such information beforehand or earlier in the classes. However, if they do not provide you with the curriculum, then you must contact the instructor at your earliest convenience, as the lack of study material will be a hurdle for you as the course progresses. The curriculum must include a detailed course outline with name and edition number of the reading material (book). Often, the instructors provide their students with a pdf version of course books, for student’s ease. Loan officer education is not an easy task; you need to have good cognitive, social, and academic abilities. Questioning and inquiring about things you do not comprehend is the best way to learn. Before settling on an organization, make sure they provide the students with opportunities to ask questions because there are certain things even Google does not know about. Testing about the previously learned things help us understand the study material better because the recalling and recognition mental process during tests aids in retaining information better since it transfers the information from short-term memory to long-term memory. Virtual courses take online practice tests, but often the database of the test questions is limited and you get similar questions time to time. That is an error in teaching because practice tests with limited questions do not test your knowledge. So, you need regular practice tests that have non-repetitive and random questions.